It's easy to save cash with Liverpool holiday packages on Expedia. You'll have heaps more time to organise your thrilling experiences — and more spending money! By securing a package deal on Expedia, you can save as much as 15%*. Pick from more than 400 partner airlines and 321,000 worldwide properties on our enormous database of lodgings and flights. Fly with who you want, stay where you want — now that's a dream holiday! You may cancel or change almost any booking and you won't pay any extra fees to us. Getting ready to head off on your Liverpool holiday? Can't work out what sorts of things to add to your travel schedule? No need to fret — we'll give you a few of our top tips. Of course, if you're on your way to Liverpool, you probably already know all about Liverpool ONE. This renowned attraction simply can't be missed! There's no such thing as feeling bored in this spirited city. 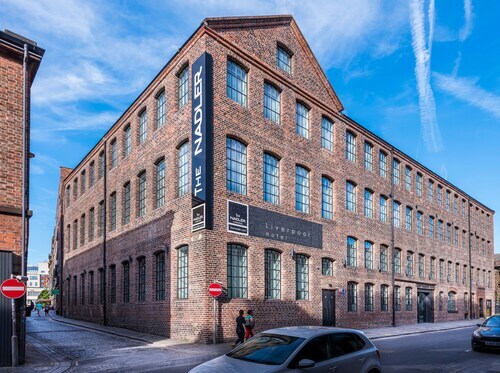 The Walker Art Gallery and the Tate Liverpool will keep you occupied. The Beatles Story and the Merseyside Maritime Museum are a few more terrific sights that won't disappoint you. When was it established and what events has it seen? Strive to find the answers to these questions when visiting St. George's Hall, a building of historic importance. There's a wonderful range of things to do in this destination. History is the ultimate teacher. Drink in the knowledge and better acquaint yourself with days gone by at World Museum Liverpool. Still got some time on your hands? Some of the region's most visionary minds were educated behind the walls of University of Liverpool. After spending a few hours here, you might have a lightbulb moment too! You don't have to sleep in lavish hotels or fly business class to have an incredible holiday. Just get stuck into all the cool things you can do while you're there! 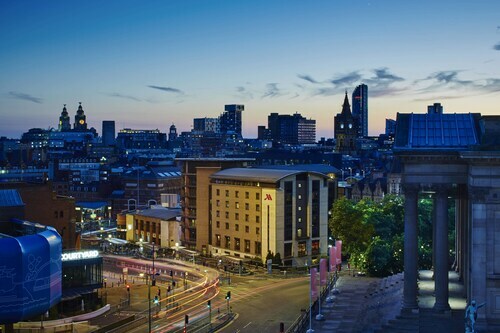 For more options, head to our Liverpool things to do page. There's nothing better than putting your feet up after an awesome day of adventures. There are 99 properties in Liverpool, so securing a comfortable room for your luxury getaway or cheap holiday will be a breeze. 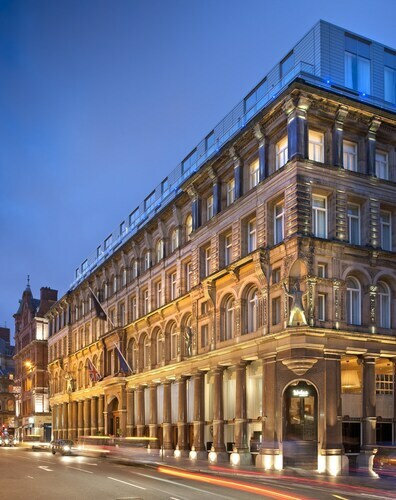 It's not every week you get to go away, so why not treat yourself to a few nights in a flashy room at the DoubleTree By Hilton Hotel & Spa Liverpool (6 Sir Thomas Street) or The Block Liverpool (19 Keel Wharf)? 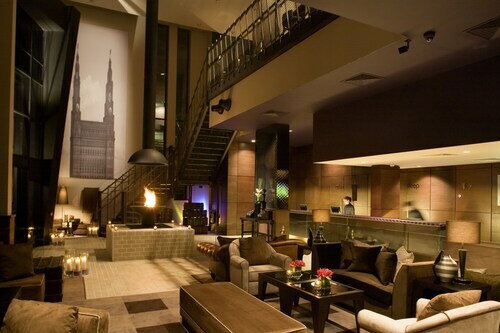 With outstanding service and first-rate amenities, you'll feel like a movie star! If you'd prefer to spend your hard-earned money on things like thrilling adventures and wild nightlife, why not look into some of our more affordable options? 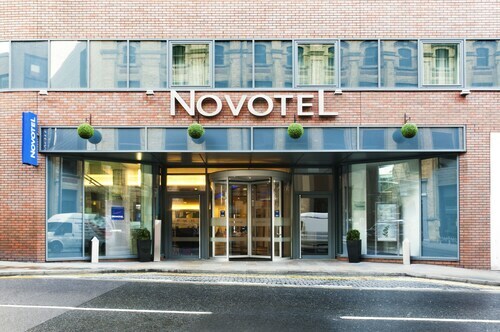 The City B&B (26 Vulcan Street) and the Campanile Liverpool (Chaloner Street) are a couple of recommended ones. When you're visiting Liverpool, you'll want to check out Liverpool ONE. The Home from Home Apartments is about 0.3 miles (0.5 km) away, and the Epic Serviced Apartments - Campbell Street is a mere 0.2 miles (0.3 km) away. 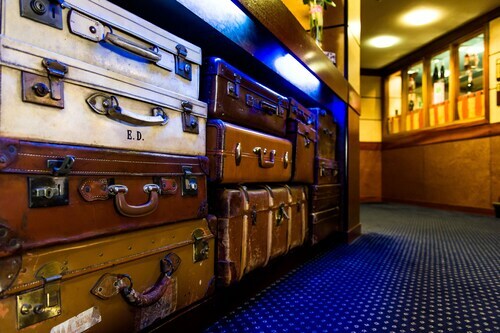 Pass through the security gate, amble onboard, stow your luggage and get comfy! 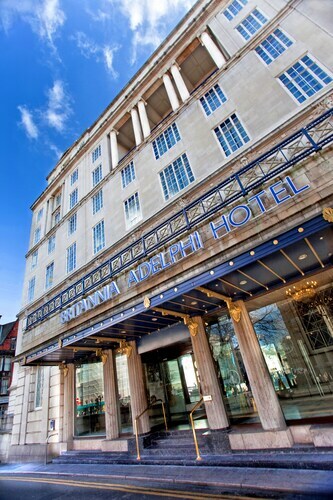 Your well-deserved trip to Liverpool is just a plane ride away. After the wheels touch down at John Lennon Airport (LPL), you'll find yourself about 7 miles (11 km) from all the main streets. Situated in the cradle of UK rock and pop music, Liverpool, The Cavern Club is where legendary bands, such as The Beatles, The Rolling Stones and The Kinks, cut their teeth before launching the British Invasion upon the world. Explore a treasure trove of rare books and manuscripts, uncover your family history, log into the free Wi-Fi or simply enjoy the views from the rooftop terrace. Walk the sumptuous halls, botanical gardens and working farm of this beautifully preserved 16th-century manor where Queen Victoria stayed in 1851. Known locally as Paddy’s Wigwam, this modernist building is a fabulous piece of architecture that looks like a large tent. Britain’s biggest cathedral is home to stunning and sometimes controversial religious art, heavenly architecture and some of the best views over Liverpool. View paintings and sculptures by past masters and more recent works designed to confront and challenge at one of the country’s most popular art institutions. Explore one of the largest art institutions in the U.K., fondly known as “the National Gallery of the North,” and see works from the Pre-Raphaelites to Banksy. Take a thought-provoking journey through the history of the greatest forced migration in history, the transatlantic slave trade. Marvel at an architectural gem reflecting the designs of the British Empire. It is one of the Three Graces on Liverpool’s waterfront. From the Beatles to the Liverpool Football Club, the King’s Regiment to the neighborhoods of Merseyside, this award-winning museum celebrates Liverpool’s proud past. The most iconic building in the city is adorned by two copper liver birds, the emblems of Liverpool. Liverpool was once the most important trade city in the United Kingdom, discover why at this engaging cultural institution. Jog around the lake, picnic on a hilltop or watch local sporting teams tough it out at the largest park in Liverpool. Long at the heart of community life in Liverpool this 200-year-old masterpiece of neoclassical design is still going strong. Stare at the stars, or come face to face with the dangerous scorpion fish at Liverpool’s natural history museum. See the opulent lifestyles of the 19th-century upper class, and paintings from some of Britain’s best artists at this museum and gallery. This classic venue has been in use for almost a century, and is one of the best places in the city to watch a live performance. Take a tour of the storied basement music venue where one of the biggest bands of the 1960s, the Beatles, got their start. Catch a “Ferry ‘Cross the Mersey” from this ultra-modern terminal, then return to explore some of Liverpool’s best maritime, musical and artistic attractions.